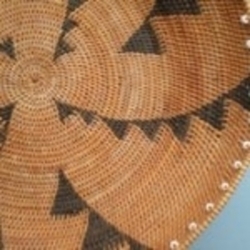 Participate in a marvelous family workshop learning how to make a basket from local ponderosa pine needles. Children 10 and older may attend if accompanied by an adult. No experience necessary. The class capacity is 20; please call (831) 335-7077 to reserve your seat. Meet at the visitor center. For more information, please call (831) 335-7077. Event free. Vehicle day use fee is $10.